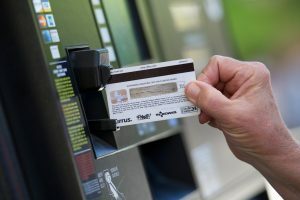 UPDATED: March 21, 2019 – USDirectExpress prepaid cards have become the fastest and easiest method for those needing government assistance to receive federal funds. Even if you do not have a checking account, savings account or belong to a credit union getting a DirectExpress Debit MasterCard from Comerica Bank is fast and easy. We are in no way affiliated with www.usdirectexpress.com, see below for Direct Express login access. Creating a USDirectExpress Login opens the door to individuals to be in complete control of financial assistance funds along with the DirectExpress mobile app. Once you have setup your account, you will have immediate access to the www.usdirectexpress.com website and mobile app. To begin, login to your current accounts and change how you receive federal funds to DirectExpress. When you are at the homepage click the “Login” button. This will redirect you to the sign in page where you can choose returning user or create a new user profile. Begin your profile setup by clicking on the “Create New User” button and follow the instructions. When creating your account make sure to have your login information, prepaid debit card and Social Security Number nearby. You will also be creating your username and password. Include numbers, letters, and special characters in your password to ensure identity theft protection. 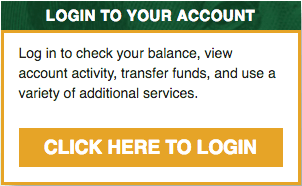 Click the “Submit” button and your gateway to taking control of financial assistance are open. The online portal allows users to access financial assistance accounts to check balance, bill pay, and view transaction history. One of the perks of having a Direct Express login is the incentive rewards program PayPerks. When you use a DirectExpress prepaid card users can log onto www.PayPerks.com to receive rewards points by completing tutorials online that educate individuals in making better financial decisions. The idea is to give people receiving government assistance incentives to learn how to keep more of your federal fund’s electronic payment. There are also tips on how to best use the money on your DirectExpress Debit MasterCard from Comerica Bank. Each point a user earns on PayPerks enters them to win monthly cash prizes, and with the capacity to collect hundreds of points a month the odds are good. How Can USDirectExpress Help You? Comparable to the EBT card individuals receive their SNAP benefits the DirectExpress Debit MasterCard, issued by Comerica Bank, has a few differences as well. Like an EBT card, federal funds are loaded onto the USDirectExpress card and can be used at any store that accepts MasterCard. This includes gas stations, drug stores and pharmacies, department stores, healthcare offices, restaurants and grocery stores. With SNAP Benefits you cannot add funds, you can get cash back on purchases ATM withdrawals, free once monthly. Beyond that there is a fee associated with withdrawals. With the online portal, managing funds for Social Security, Disability and other government programs is easy. You can also see transaction history and set alerts for low balance or find the closest ATM. One of the benefits of this online account is that, compared to traditional credit cards, the Direct Express Debit MasterCard by Comerica Bank, only lets you spend the amount on your card. Providing users more convenience aside from the pone app, recipients can easily create a Direct Express login online at USDirectExpress. Some individuals may be familiar with how other prepaid debit cards and comparable programs such as the GoProgram Way2GoCard work. You will find the transition to a DirectExpress login very straightforward. The DirectExpress customer service help desk currently receives millions of calls a month from recipients. Individuals who want to check the balance of federal funds, confirm direct deposit and review transaction history. The DirectExpress Debit MasterCard, issued by Comerica Bank, and the USDirectExpress login mobile app aim to alleviate some of this bottleneck. With 24/7 online banking, those receiving financial assistance are in control of their financial freedom and future. NOTE: We are not affiliated with this compnay. You should NOT contact us with any sensitive information that is of a personal nature. We are merely a resource that provides information. how can i get a routing # to my account . I need help with an issue I have with this company. Direct Express is my Disability direct deposit bank and I have opened a dispute on a charge for a product I never received but I have received the worse service I have ever received from a financial institution. I would like to know what are my options for reporting this company to the state of California department of Disabilities. I did not receive my 1099 R form for 2016. How do I get it? I was looking at insurance options. The customer service representative connected took my information. I was not eligible. I received a letter about that two of my children were eligible for Medicaid. We did not request this. I also got one for my daughter and I.
I was not applying for these benefits. All I wanted to know was the eligibility of the Medical Insurance which I am not eligible. I am not eligible for Medicaid. Not sure how or why applications were submitted because I did not request them. It upsets me because I was not even asked “are you applying for HHS Medicaid services. My family is not eligible. I will also send letters to HHS.